The problem that I'm having is that on Tuesday my wagon ran and drove okay, but later in the evening the car would not start at all, just crank crank crank and nothing. I tested the pumps by jumping fuses 4 and 6 and I could not hear any pumps going, which would make me suspect that the fuel pump/pumps are bad? The car has the K-Jet system but appears to have a later pump setup(? ), with an in-tank pump and another pump underneath the car further forward from the tank. It seems like the fuel pump has given up the ghost but from IPD's site it mentioned that a fault in the primary ignition system prevents the pumps from turning on, which seems a bit more likely knowing that the car ran/drive decently earlier. Any thoughts/tips on what to do next? I haven't ordered anything yet because I'm not 100% sure I've correctly diagnosed the problem yet. Another thing I should mention is that I can't work on the car at the moment because I had to drive up to Bellingham for a meeting with a course advisor and I won't be back home until Sunday which throws a wrench in the works, but if I can get a list of things to troubleshoot I think I'll be able to figure out what's wrong once I get back. I tested the pumps by jumping fuses 4 and 6 . . . . I don't have an electrical schematic handy for a '78 but those after use fuses 5 and 7. 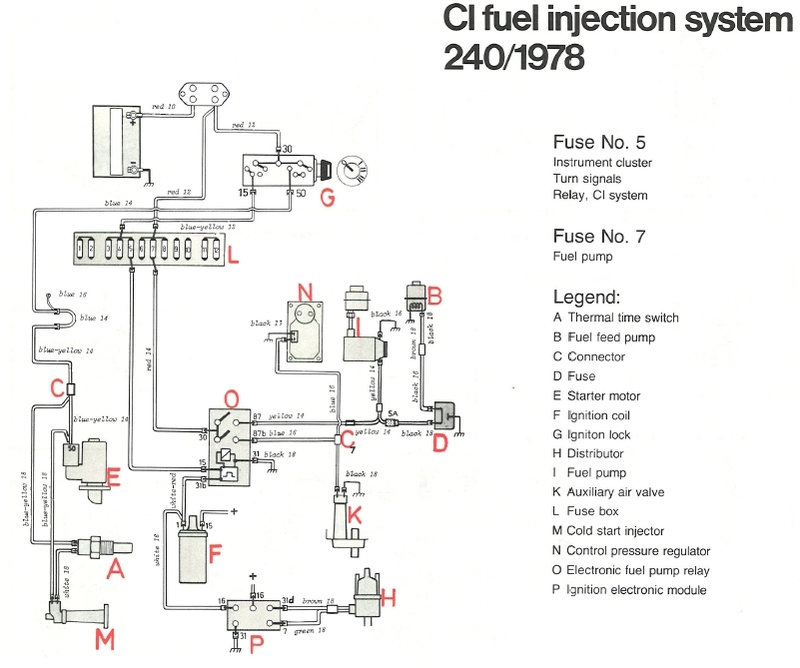 If your fuel system was originally the early single pump and your currently installed system if the later lift and pressure configuration you need to understand what may have changed electrically. First step is to ensure that you are getting B+ to the pressure pump. Jump the fuel relay at the relay connector. Note that the operation of the relay is based on receiving a pulsing ground from the coil. No pulsing ground, no relay operation. I chased that rabbit for a couple days some time ago. Thanks for the handy tips! The pulsing ground you mentioned sounds like what IPD was referring to on their website. The more I think about it (before jumping to conclusions) is that I wasn't hearing any unusual noises from the fuel system that would suggest a failing pump before it decided to not start, which would lead me to believe the problem might be elsewhere. More troubleshooting and investigating will have to be done but I'm getting a better understanding of how the system works. One more thing, I'm unfamiliar with what B+ refers to? Is it just the fuse panel under the dash on the drivers side? One more thing, I'm unfamiliar with what B+ refers to? It is the voltage from the positive (+) side of the battery (B). From a long experience working for Mother Bell. We had 12, 24, 130 and 250v battery strings therefore B+ referenced the positive side of whatever was being worked on. 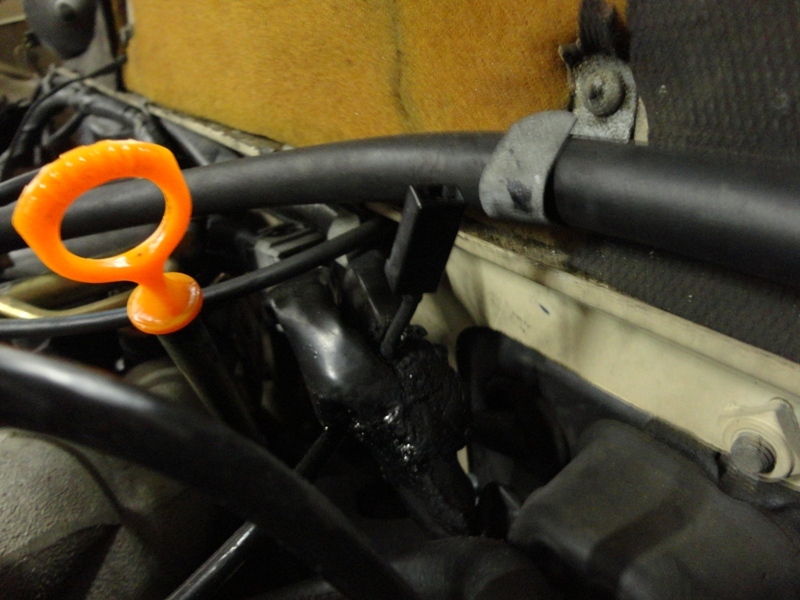 Start at the ignition coil to make sure the ignition is switching. Use a test light on terminal 1 on the coil and if it is switching when cranking. You can move to the fuel pump relay and test for that same signal there. It should be on terminal 31b on the fuel pump relay. If there is no switching it's time to troubleshoot the ignition. If you have switching and the signal is going to the relay. Put the test lamp on terminal 30 and make sure you have power to the relay. Then check terminal 15 for swiched power. If that all looks good. Put the test light on terminal 87 and it should light up when cranking. If the relay doesn't turn on then it may be bad. But be sure to verifay all the connections and signals. Thanks for all the help guys, I'm putting it to use now that I can work on the car again. I'll report back with my findings as soon as I can! If I did the tests right would this mean that there isn't any power going to the relay? I'm going to test the coil next, but I'm not sure which terminal is Terminal 1? Is terminal 1 one of the positive terminals on the coil? Also what can I do to test if a relay is functioning? Terminal 30 should have power all the time and terminal 15 should have power with the key on. Check fuses 5 & 7. I went back outside to check the fuses, and the terminals as you suggested. First, I checked fuses 5 and 7, they both had continuity across so I believe that they are okay. Next, I went back and checked Terminal 30 and 15 on the relay connector, and I got 0 mV again for terminal 30 and 22.7 mV for Terminal 15 at the relay. I also checked 15 at the coil (from the wiring diagram you posted it looks like the positive side) and I measured 8.23 V with the key switched to ignition. I've run out of daylight for today unfortunately, I'll pick it up again after my morning class. See fuse 7 in the diagram? Follow it to the inner fender distribution block? Then you see it goes to the battery positive. You need to see voltage all the time at fuse 7. Fuse 7 feeds the fuel pump relay on terminal 30 where you mesured no voltage. So you need to follow that path back all the way to the battery and make sure it's a good clean path of power. Terminal 15 comes from fuse 5 so you need to check that path as well since you should have measured 12v there with the key on. Power to the ignition switch also comes from the distribution block on the inner fender then goes from the igniton swtich to fuse 5. so you want to check that carefully. Okay, looks like yesterday I made a novice error; I got the terminals on the relay plug mixed up, so my readings were incorrect for the terminals. Anyway, I did trace the power from the battery to the power distribution block to the fuse and to the relay. So the good news I suppose is that I do have a flow of electricity from the battery to the fuses. I'm still unfamiliar with reading wiring diagrams but it looks like the relay needs to switch for 87 and 87b to get power from 30? Is this correct? What else can I check at to eliminate other issues? Have you checked for spark? Remove the coil wire from the distributor and place it within ¼" of a grounded piece of metal such as the valve cover or strut studs. Crank the engine over and look for spark. You may need an assistant to turn the key while you watch or you can activate the starter by applying 12 volts to the test connector near the dipstick. Just make sure car is in neutral. Went back out to the car and I didn't get any sparky, I tried 2 leads from the coil with no spark on either. Starting to look like the coil went kaput, but I'll double check again tomorrow morning just to be sure. I did the test on the valve cover and strut studs too with the same result so I think we may have narrowed down the issue. There are lots of things that fail more often than coils. I would do a lot more isolation before time for the parts cannon. I have replaced a couple of coils in my lifetime and later fixed the problem. What else can I test on the car to help isolate the problem? 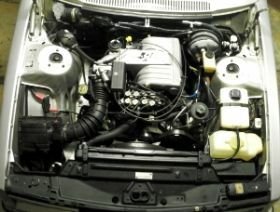 Check the wire harness between the distributor and ignition module. It's common for them to fray at the distributor connector. If it's okay, go through the diagnostic logic tree. Well, I know what I'm doing tomorrow, I'll take a look at that pdf and my repair manuals tonight though. Okay, so today I've been going through the ignition diagnostic tree that hiperfauto posted, and I've gotten to the part where it has me testing an impulse sensor(?). 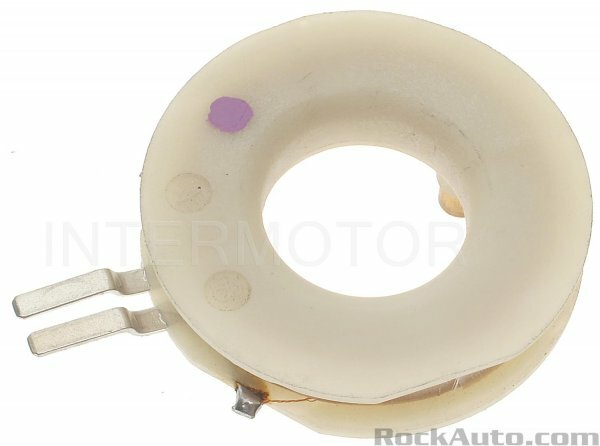 Is this sensor a part of the distributor (Hall Effect?) or is it elsewhere? Yes, it's the pickup coil in the dizzy. Alright, I tested the resistance across the sender plug as the diagnostic tree said but I'm not sure if I passed the test. The test requires 950-1250 ohms when its 75 degrees Fahrenheit, but where I'm at it's 37 degrees at the moment. I did measure resistance on the plug, it started at 8 and was climbing, would that indicate that it's functional? So you measure 8 ohms across the terminals or was it 800 ohms? A little less resistance when it's colder is normal. A lot less is not. Here's what I get from testing the plug/connector. I could be misinterpreting the instructions though. Last edited by pnw_245; 02-07-2019 at 07:26 PM.. I can't seem to share a picture, I can't seem to add an attachment? Welp, another novice error (I believe). I was measuring resistance at the connector instead of the terminal on the distributor, I misinterpreted the instructions and wasn't thinking very clearly. After going back and checking the impulse sender on the distributor the resistance I got was .983 k Omega, which I from what I understand is 983 ohms which is within spec. Now all I have left in the diagnostic tree is to check to see if the impulse coil is grounded or not. It could very well be a bad ignition module. Duder had one fail recently.